Branding plays a key part in the publishing industry today. As a young professional, you have to stand out from the crowd in order to get jobs, so a part of doing this is branding yourself. If you decide to do freelance work, you are essentially setting yourself up as a branded company that contracts work. And obviously for publishing companies, having a distinctive brand that sets you apart will help you to sell books. During the MSc Publishing course, we had a short exercise from Susan Kemp (@susanroslynkemp), a freelance corporate and publishing service provider, which means she is a freelance editor, proof-reader and project manager. Therefore, she has had experience in branding herself as a company. During her workshop, we each had fifteen minutes to create a brand name for ourselves, which would present us as our professional selves. We also had to create a logo to go along with this brand, presenting an image which would extend us as a brand into a physical image. Although a short exercise, it was incredibly beneficial to use our gut instinct to realise what was personally important to present as a professional. In March, I attended a couple of #DigitalGarage sessions ran by Google in Glasgow. These workshops are free to attend and are part of a larger project that Google is working on to get people feeling more confident about online marketing. While I’m aware that these sessions are not specific to publishing, I think it is really important for publishers to stay ahead of the curve with the latest strategies in digital marketing. I plan to use what I learned from these sessions with my own blog and in my current social media internship with Linen Press Books. In the meantime, I’ve summarised some of the key points from the #DigitalGarage below. I attended the live workshops but Google also offers free online training if there aren’t any workshops running near you. You can set goals, learn from experienced professionals, apply your knowledge, track your progress and stay motivated! The sessions were a great springboard for me as I am really interested in online and digital marketing within publishing. They were comprehensive and there was lots of information and resources for me to take away. I learned about the importance of designing a good website, choosing a domain name and thinking about hosting. When it came to social media, they were armed with interesting and informative stats for us: 38 million active social media users and 1 hour 29 minutes average daily use of social media via any device (younger audience = significantly higher usage). I was surprised to learn that people formulate an impression within 50 milliseconds of visiting your social media profile so it’s important to think about your bio: keep it relevant, clear and consistent and show you personality – people like people. It made me ask the question: what message can I send out on my Twitter page within 50 milliseconds? The #DigitalGarage sessions are a hidden gem. It is very rare to get comprehensive training like this for free so I was eager to jump on the chance. I look forward to seeing how my new found knowledge can help me with all things publishing. It’s been 24 hours since the Publishing Scotland Conference left me equally overwhelmed and excited by my chosen career path so I hope this overview will give people who weren’t fortunate enough to attend a taste of what the day was like. After a welcome from Publishing Scotland, the Booksellers Association and Jenny Brown of Jenny Brown Associates, the day started with a key note speech from Barry Cunningham . Not only do I hope to work in children’s/YA publishing one day, but I am a long-time fan of Chicken House. I was all ears on the necessity for fueling “book growth by providing a wider variety of book of all kinds” and how readers can discover these books. ‘Book huggers’ became an integral part of my vocabulary and Barry’s business card a coveted addition to my wallet. I gained a whole new appreciation of the art of the book cover from the Creative Director at Penguin Random House, Suzanne Dean, whose journey between the hardback and paperback editions of Paul Kalanithi’s, When Breath Becomes Air, was paved by 70 rejected covers. And I’ll never look at the negative space and allusions of Haruki Murakami’s covers the same way now that I know a little of the complicated effort masquerading as the effortlessly simple. When it comes to working better with authors (and selling more books), Lucinda Byatt from the Society of Authors reminded us that, despite falling advances and royalties, “authors remain the only essential part in the creation of a book.” How must it make them feel to often earn less than their editor? We heard from the front lines in sales and bookselling where the successful bookstores are the ones with “experiential content that’s not available on the internet”, Kevin Ramage, The Watermill: “booksellers that diversify … throw in a bit of coffee … offer as much as possible to the customers”, Sabrina Maguire, Bright Red Publishing. For my elective breakout session I was glad to have chosen to learn from Eleanor Collins, Senior Commissioning Editor at Floris Books, about editing narrative openings (but sad to miss out on the three other workshops that sounded equally fascinating). With the “artifice of the narrative most evident in the beginning” and a tendency for authors to begin the story before the action, editors can choose to alter the structure, chronology and/or voice. In other words (Eleanor’s words): start with the Ballroom instead of the Country Walk; or reference it and the Conversation during the preparation for the ball. One of the most inspiring parts of the day, however, was an introduction to OWN IT!, London from founder, Crystal Mahey-Morgan. Crystal’s goal is to tell stories using books, music, fashion and film, starting with the multimedia book, Don’t Be Alien. Above all I respected her recognition that we have to see the commercial viability of diverse authors instead of just the moral necessity. With people and pioneers like these, I’m happy to say that the future of the book does not look as bleak as it is often believed to be. 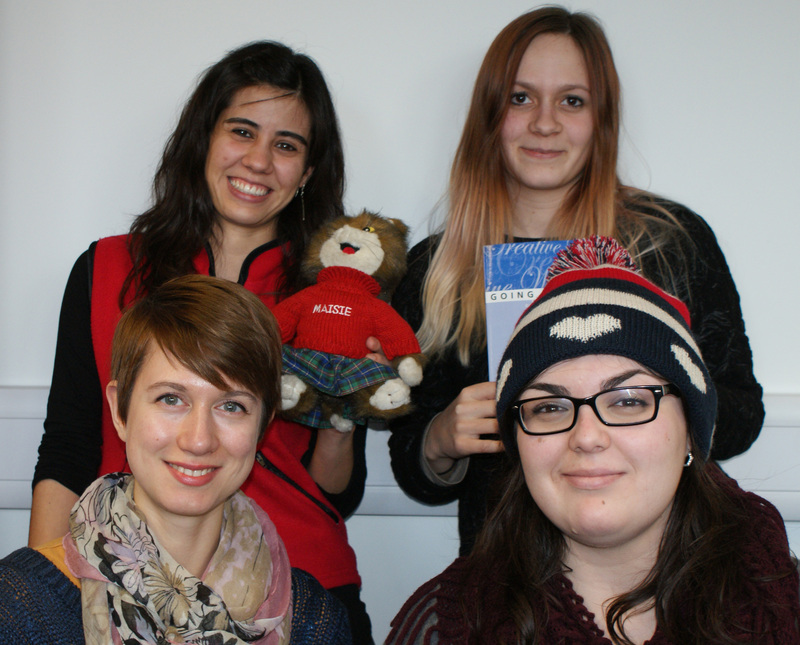 Many thanks to Publishing Scotland for making the MSc Publishing students of Edinburgh Napier Universirty so welcome. In conclusion, prep your calendars for 2018 and place your bets on who/what Steve Bohme will use to front his market data next time. At Alban Books, it’s all about the data. High quality data, kept bang up to date and working hard to earn it’s living. This is what impressed me most during my work placement at the sales, marketing and distribution company based in Edinburgh and Bristol who distribute high quality Christian titles for eleven non-UK client publishers. Every member of staff value good data and communicate constantly with each other to keep all aspects of metadata up to date for each of the 7,000 active titles that they promote and distribute. Marketing Manager Elaine Reid is no exception and keeps the marketing databases meticulously up to date whilst carrying out pre-agreed cyclical marketing campaigns for client- and owner-publishers. She does all this with a quiet air and this calm quality is something I very much appreciated when working on direct mail campaigns or updating the Content Management System (CMS) for the company’s website. I undertook my work placement during what is for us publishing students a very busy trimester, filled with live projects and a busy schedule of guest speakers and special events. 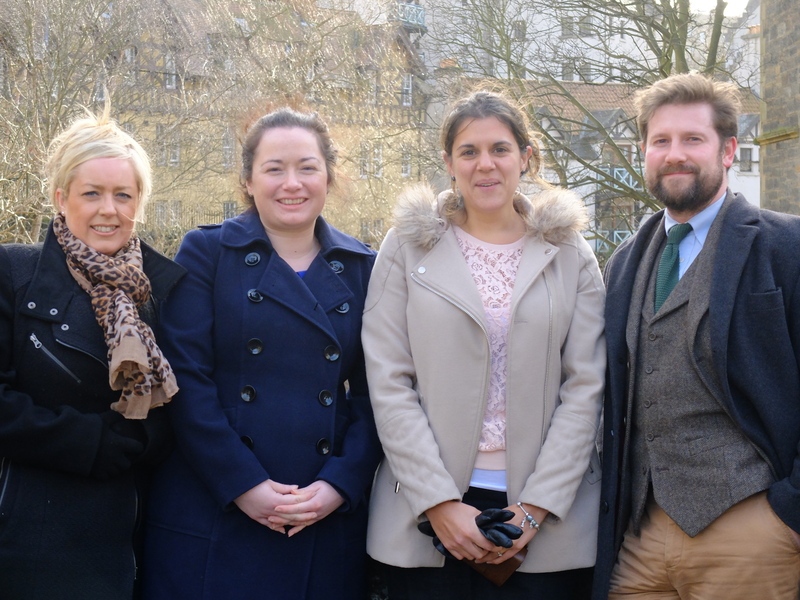 The Alban Books Edinburgh-based team L-R: Margaret Reid (Administrator and marketing Assistant); Elaine Reid (Marketing Manager); Nadia Suchdev (Sales & Marketing Assistant), Jonny Gallant (Managing Director) with Dean Village in background. Credit: Alban Books. Margaret Reid, administrator and marketing assistant, who often buzzed me into the beautiful sandstone basement office and greeted me with a smile; managing director Jonny Gallant, always friendly and full of interesting anecdotes (he knows everyone in the book trade!) in between growing the business and generally excelling at Excel; sales and marketing assistant, Nadia Suchdev (one of our MSc Publishing alumni) who, when she wasn’t out and about selling new titles to booksellers, was dazzling me with her impressive telephone manner and teaching me the esoteric arts of ‘seeding the trade’ and building rich product databases; and of course marketing manager Elaine Reid, who kept me busy designing direct mail shots as she quietly conquered the Christian book market while somehow always finding time to make sure that I had a cuppa. Every morning I arrived to find a treat on my desk from someone different in the office and everyone always found the time in the middle of a busy workday to banter and tell stories. They were all genuinely interested in my MSc Publishing studies too. 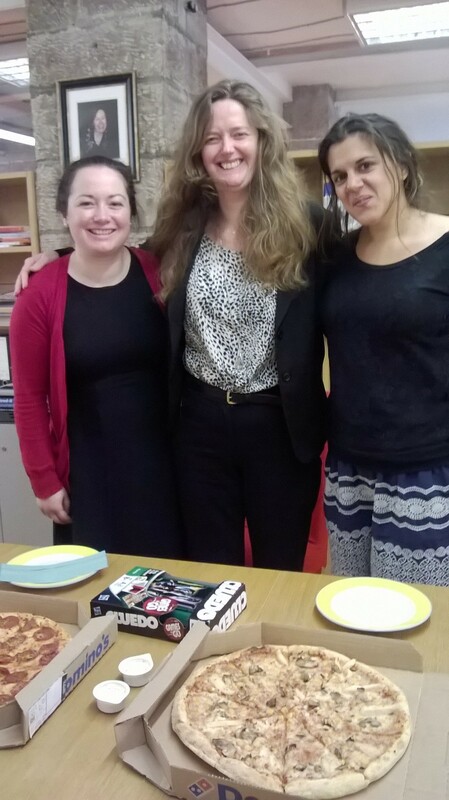 On my last day the team surprised me with pizza, a game of Cluedo and a thoughtful gift, typical of their warmth and care. What can I say, I landed a ‘Plum’ internship at Alban Books that would make any publishing student ‘Green’ with envy! I highly recommend this work placement if you’re interested in distribution, marketing and the optimisation of data to not only effectively reach your target audience but also to adapt working practices to offer clients the best service possible. And of course, if you love high quality biscuits that magically appear when you need them most! When initially it came to choosing my placement company, my focus was a little different from the majority of my fellow publishing students. My experiences to date include a number of group projects I have been involved in at Edinburgh Napier, as well as my existing experience producing my own blogs. I have been exposed to many marketing opportunities, and interest in this area of publishing encouraged me to delve further into the sector to gain more experience. Hello. We thought it was about time we introduced ourselves. 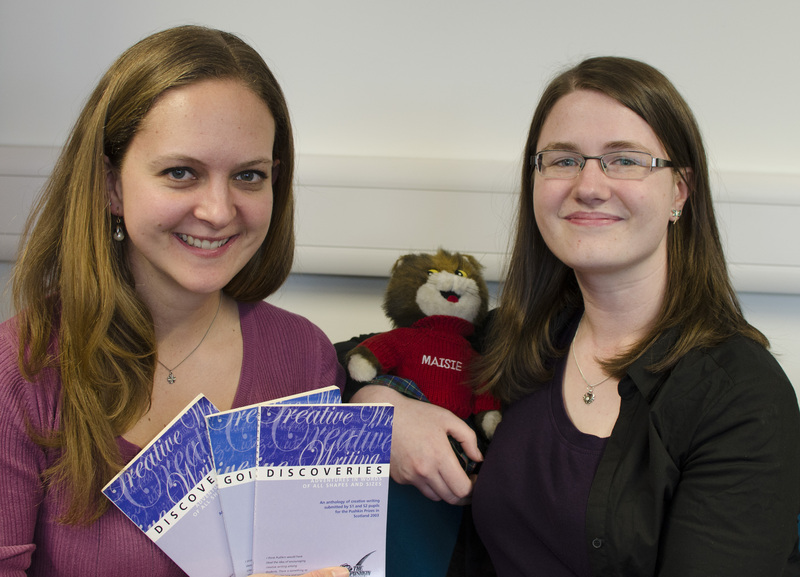 We’re students on the MSc Publishing studies programme at Edinburgh Napier University and we’ve recently started working on some exciting new projects for Merchiston Publishing, the University’s long established in-house publisher. 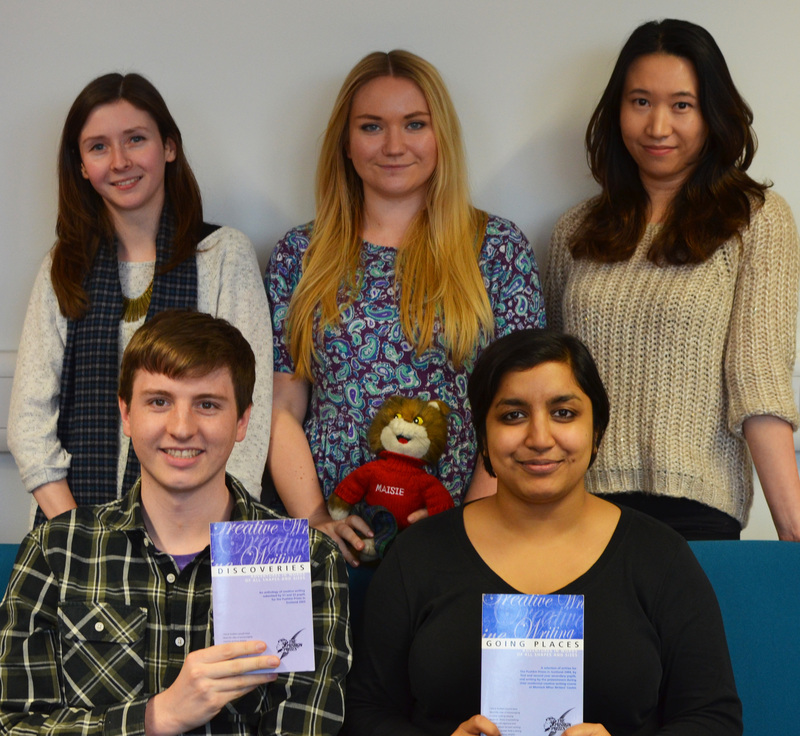 We are one of two groups working on four different projects for Merchiston Publishing this year. 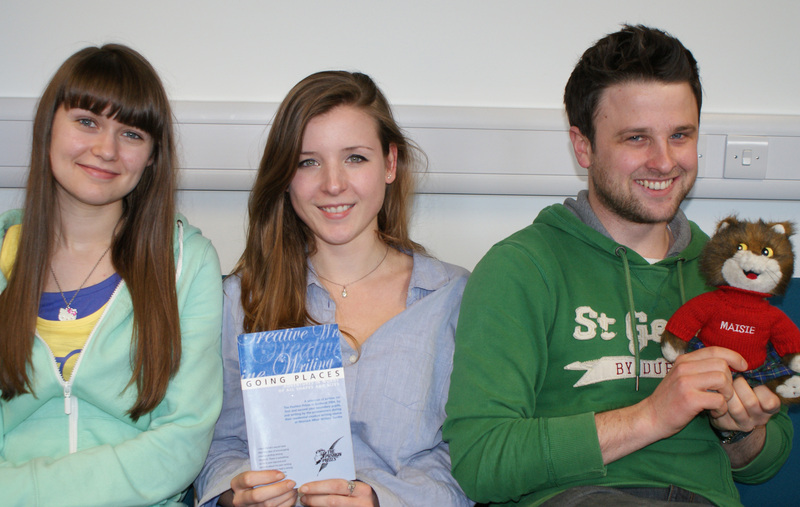 Our team are in charge of two of these projects – The Pushkin Prizes Anthology 2014 and Maisie and the Night Visitor. To find out more about both projects, visit our Live Projects pages for The Pushkin Prizes Anthology 2014 and Maisie and the Night Visitor. 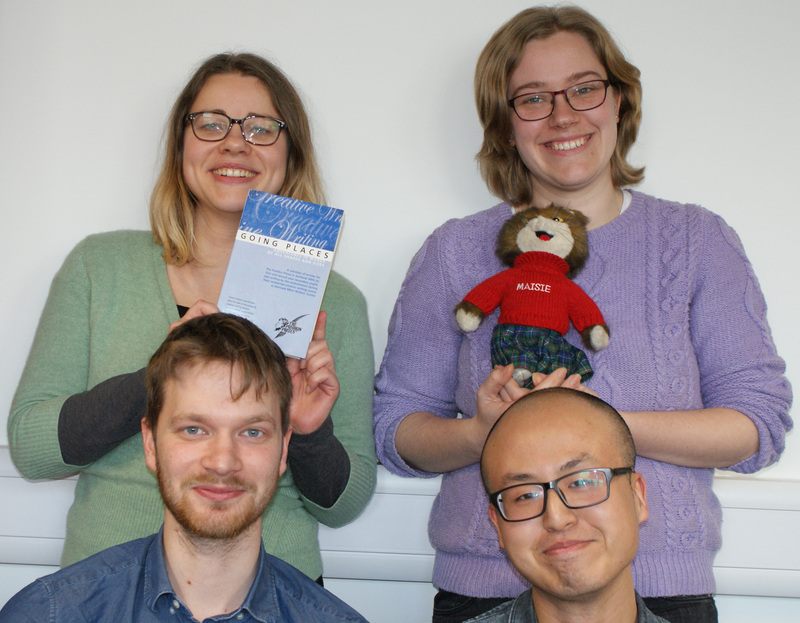 You can also follow the @EdNapierPublish twitter to keep up to date with all of our projects. Heading up the team are our enthusiastic, organised and committed Project Managers, Eve and Georgia. As the driving force behind our team, both Eve and Georgia have been instrumental in getting both projects going and we have every faith that their determination and passion will carry us through any challenges we may face. Georgia is taking the lead on The Pushkin Prizes Anthology 2014 and Eve, who has been a Maisie fan since she was young, is in charge of Maisie and the Night Visitor. Our super editorial team are ready to battle against poorly constructed sentences and excessive use of exclamation marks! They are involved in everything content-related, from the initial stages of adding content, right the way through to editing that content to make sure it is of the best possible quality. Armed with red pens and a sharp eye for detail, they are ready to catch any rogue commas that may threaten our projects. Our lovely production team are the artsy, creative types behind the projects. They’re in charge of making sure the projects look great. They think you should always judge a book by its cover, so they have one of the most important jobs. With their InDesign shortcuts memorised they are ready to go and they have already started work on some fantastic covers for both projects. Arguably the most important decision makers, these guys are there to make sure we are following all the rules and to stop marketing from spending all their money on a helicopter trip. They have the difficult task of budgeting, contacting printers and dealing with contracts. We’ll let you in on a secret: we’re not quite sure what they get up to, but we imagine that when they aren’t dealing with finances and rights they’re off fighting crime or something equally impressive . . .
Lastly, it’s us: the marketing team. Or as we like to be known, the five marketeers! You’ll hear a lot from us over the next few months as we promote our exciting new projects. Armed with nothing more than enthusiasm and an endless supply of cat puns, we hope to act as the mascots for our projects and can’t wait to show off the work done by the rest of our team members. We’ll be tweeting, posting, organising events, creating videos and just generally being enthusiastic about everything (especially that helicopter trip!). Stay tuned for more updates about our projects soon!